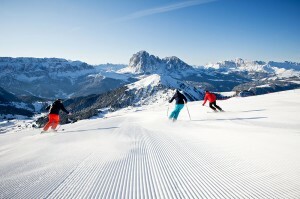 Val Gardena is the paradise for all sport lovers. 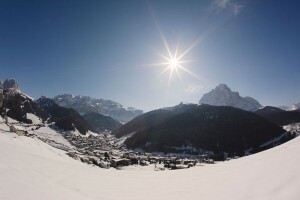 With the connections to Dolomiti Superski, the world’s largest ski carousel and the nearby Alpe di Siusi, it’s the perfect place for holidays and to be in the nature surrounded by the Dolomite mountains. 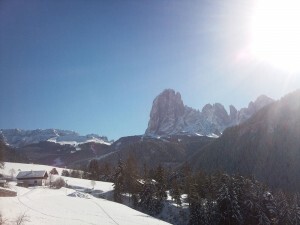 Just in the Val Gardena / Alpe di Siusi ski area there are more then 170 km of ski slopes connected by 79 lifts. Our customers can clearly practice also other sports like ice skating, , cross-country skiing or sleigh rides. For a break there are lots of huts and restaurants near the slopes and afte a long day you can enjoy the evening with music and dance in the clubs, bars and pubs of the valley. 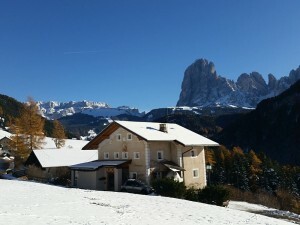 The mobility in Val Gardena and to our apartments is guaranteed by the free Skibus service.